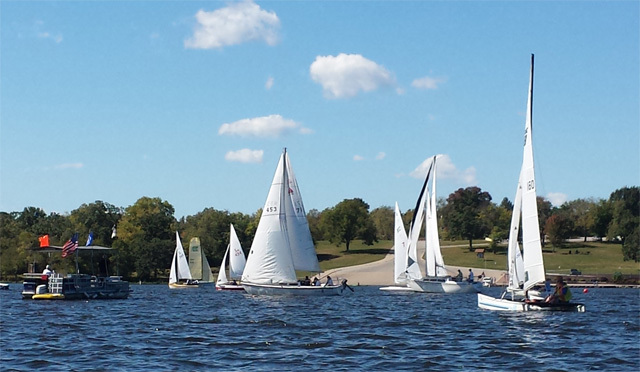 Although the strength of Jacomo Sailing Club lies in its one-design fleets, there is always a need for an open handicap fleet; for entry level racers who already own boats, and for budding one-design fleets to bloom. If you own a boat other than the one-design fleets, you are invited to join in with our handicap fleet. The handicap system used is Portsmouth Yardstick with Wind Strength Factors. This system is a pretty fair method and covers more classes with a bigger data base than most.